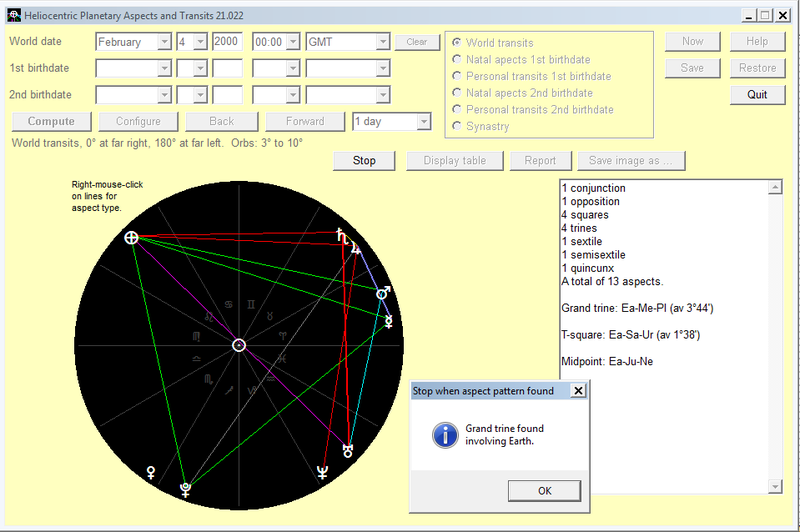 The use of the program entitled Heliocentric Planetary Aspects and Transits is explained in the user manual, and in particular how to search for a certain kind of planetary aspect pattern, such as a grand trine or a yod. 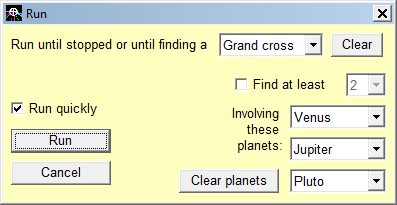 This page explains how to search for a particular kind of aspect pattern involving one, two or three specified planets. Suppose we wish to find the first occurrence (if any) in the year 2000 of a grand trine in which one of the planets involved is the Earth. 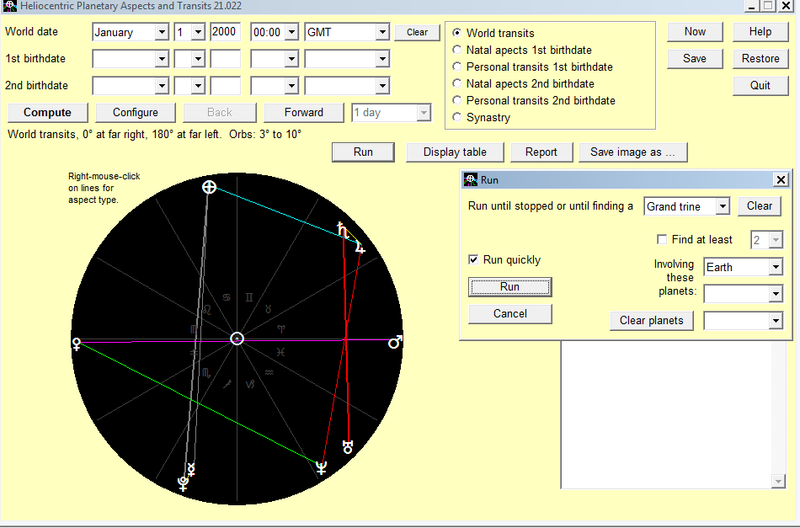 We set the world date to January 1, 2000, as shown in the screenshot below, then click on 'Run' to bring up the 'Run' panel. We select 'Grand trine' as the aspect pattern to search for, and specify the Earth as required to be one of the planets in the grand trine. 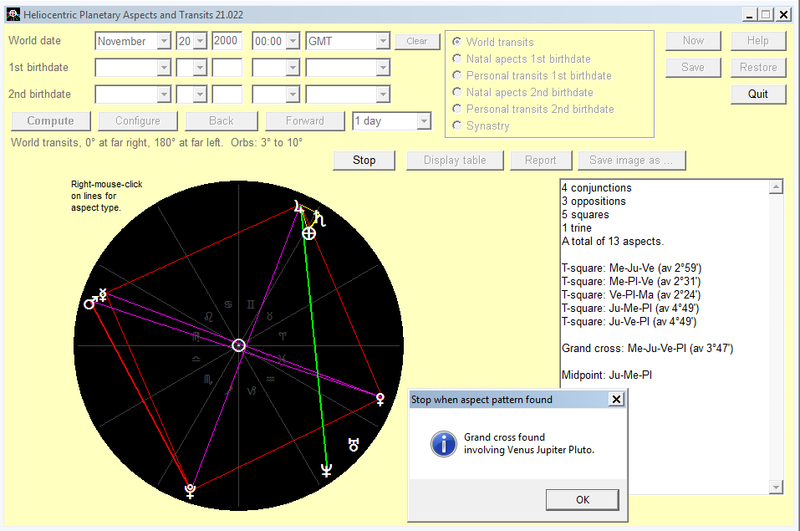 After clicking on 'Run' the program works through the dates of 2000 and eventually finds the sought-for grand cross, at November 20, as shown below.